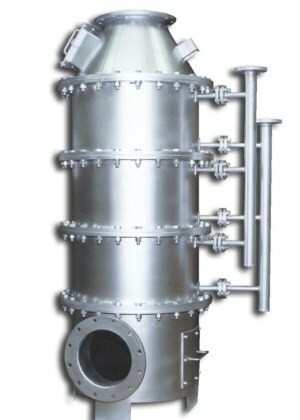 Design of The Clayton Exhaust Gas Boiler is based on a modular construction using a standard range of heat recovery coil sections. 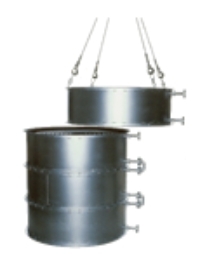 These sections have been developed to suit a wide variety of process conditions. 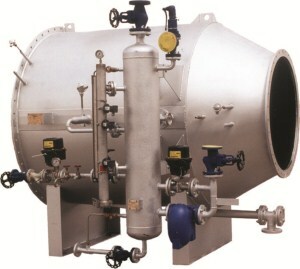 The number and sizes of sections required to make up the boiler are chosen for optimum performance by computer programme, based on the heat available, the steam output required and the allowable pressure drop. Each coil layer is staggered compared to the next. The staggered configuration of the layers, one above the other, improves heat transfer from the exhaust gases to the tubes. 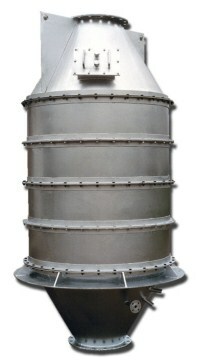 Because of the modular construction of the Clayton Exhaust Gas Boiler the assembly is a straightforward matter since the standard coil sections are bolted or welded together and coned transition pieces are then added onto each end for connecting to the exhaust ducting.